Unicorns, Tampons and other Girly Things: INTENSE, EMOTIONAL, FRIGHTENING, ARTIFICIAL BUTTERY, scene from chapter 14! INTENSE, EMOTIONAL, FRIGHTENING, ARTIFICIAL BUTTERY, scene from chapter 14! SMELLA'S ROMANTIC FUTURE IS IN JEOPARDY! HER ONE TRUE LOVE DUMPED HER. 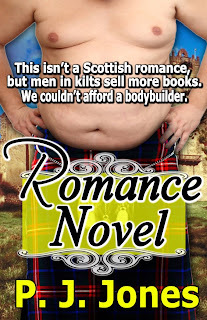 HER FATHER WANTS TO MARRY HER OFF TO A DEADLY LAIRD. AND WORST OF ALL, THERE'S ONLY ONE REMAINING BLUEBERRY MUFFIN! “Smella, I’d like you to meet Laird Flabio.” Harvey latched onto her elbow and made a sweeping motion toward Flabio. “Your future husband,” Harvey enunciated in a dignified manner. 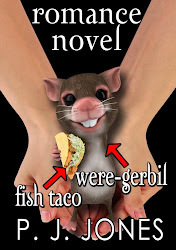 Flabio and his big muffins bowed before Smella, and he smiled at her with a feral glint in his dark, ominous gaze. “It’s true. I love him!” She cried out, feeling her breaths coming in gasps. She couldn’t imagine a life without Deadward. An arranged marriage to a man she hardly knew? She didn’t even like blueberries. Her father turned to her with a thunderous expression. “I forbid you to see him!” he bellowed. “Really?” Averting her gaze, she pretended to feign ignorance. “What did you find?” she asked innocently. “Isn’t that a good thing?” she wondered aloud, feeling relieved that her father hadn’t realized the Forests were environmentally-friendly, vegetarian vampires. “Oh? What a shame,” she said with false sincerity. “Yes, I guess so.” He looked momentarily disoriented, scratching the back of his neck while scrunching his brows. “But something about the Forest family is weird, so I’ve already arranged a marriage between you and Laird Flabio.” He motioned to the fat guy holding muffins, who had conveniently managed to stay quiet during the tense scene between Smella and her father. Smella thought she’d swoon when Flabio handed her a bouquet of petunias - the same kind of flowers that had killed Sassy. She stared down at the flowers with uneasiness, a queasy feeling settling in the pit of her stomach. Then she looked back at Flabio, the man whom her father had arranged for her to marry. He bore a striking resemblance to the bartender who’d mysteriously disappeared the night Roxy was poisoned. He also looked like the stranger who had tried to attack her in the alley. And was it just a coincidence that he handed her the same type of flowers used in Sassy’s murder? Or was Laird Flabio somehow connected to her friends’ deaths? “Laird Flabio comes from money,” her father said while biting into a large muffin. “Scottish-Italian nobility who made their fortune in artificial butter.” He spoke while chards of muffin flew from his mouth. “Mmmmm, delicious muffins, Laird Flabio,” the deputy moaned before planting his entire face into the next bite. Flabio grabbed a tub of margarine with a picture of his face on it. He dug out a chunk of the spread with his finger, greased the top of the muffin, and then shoveled a large portion into his mouth. He turned first to Smella, then to the deputy with a look of mock enthusiasm in his eyes. “I can’t believe this is partially-hydrogenated-oil-artificial-butter-substitute,” he said as if he was reading a cue card for a commercial, but having a difficult time articulating the words. “We saved one for you, Smells.” The deputy nodded toward the pan with one remaining muffin. Turning on her heel, Smella raced from the room. She managed to hold back the tears until she’d reached the top of the stairs. By the time she’d fallen onto her rainbow quilt, she was sobbing like a baby. How could her dad force her to marry such a brute? Surely she’d starve with a husband like Laird Flabio. She could only imagine herself reaching for a dinner roll at the table and losing a finger in the process. She’d be much safer with a husband like Deadward. Although he thirsted for her blood, and it took all of his physical restraint not to eat her, he would have been gracious enough to offer her the last muffin. If her daddy refused to allow her to marry Deadward, surely her life would be over. Never mind the fact that he dumped her a few chapters ago, and he no longer wanted her, anyway. Or that he and his vampire family had relocated to an undisclosed location, and she probably wouldn’t find him, even if she searched for a million years. She and Deadward were destined to be together. 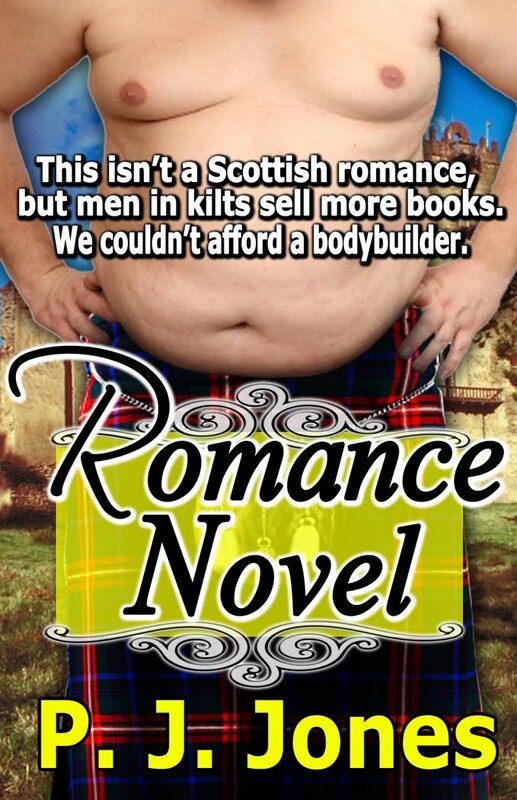 Get your copy of Romance Novel for only 99 cents on Kindle! Get your copy of Romance Novel for only 99 cents on Nook! Amazing. Simply amazing. Awesomely amazing. With extra girly things. You, sir, are a genius, and I'm going to write your name in glitter somewhere. Probably on my trapper keeper. With my unicorn stickers. Whaaaatttt? No TAMPON stickers? It's okay. I understand. Thanks, Rex! BTW - Truth be told, a 'sir' probably wouldn't put a tampon on his blog page. I suppose I should list my true gender on my profile. I know some girls who really do look like dudes, but if you saw me, hopefully, you'd think I looked the tampon wearing gender.